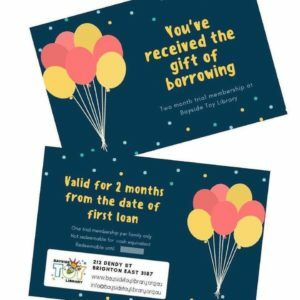 Have you ever wondered what the toy library is all about but never had the chance to pop down? Are your kids bored with their toys at home and need some fresh play ideas? Is it time to de-clutter you home and rotate toys instead of buying (and storing!) them? Are you looking for an easy way to reduce your impact on the environment? Yes? Then this Open Day is for YOU! 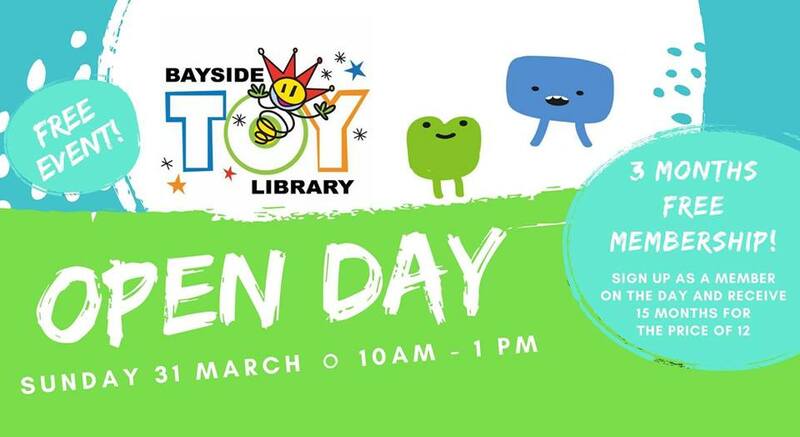 As part of the Bayside City Council, Victoria Children’s Services Open Weekend, we’ll be opening our service to anyone who would like to know more about borrowing toys from Bayside Toy Library. Everyone is welcome to come and check out our amazing toy library, have a play, chat to members and find out what we have to offer your family. 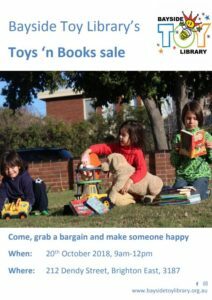 New members are welcome to sign up and take toys home with them on the day. All members who sign up at the event will receive 15 months membership for the price of 12!